So last month, a friend of mind complained about something I know nothing about. I was bored so I decided to pretend I was an expert on the subject. This odd interaction led me to purchasing stuff… The subject was “Tile Bluetooth Trackers”. He apparently uses them to find things. I decided that as much as I lose things, these could help me. I may have a sick sense of humor, but I found it utterly hilarious that the USPS *LOST* the items I bought to track the stuff I lose! 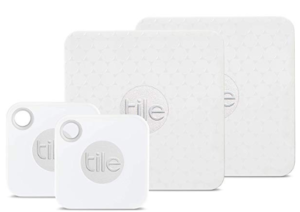 Here is the strange side-effect of owning 2 of these Tile devices. I have not “lost” my keys in 2 full weeks. That is a new record! How do I know this? I have DESPERATELY wanted to use this gizmo to find my keys! I want to play with it! Nope … i’m “blocked”. Anyways – I like not losing stuff enough to get some for my wallet, my work badge, and other crap I lose… I think they are cool gadgets!